The Ukrainian government has approved a plan of engineering equipment of the border with Russia in 2015-2018. 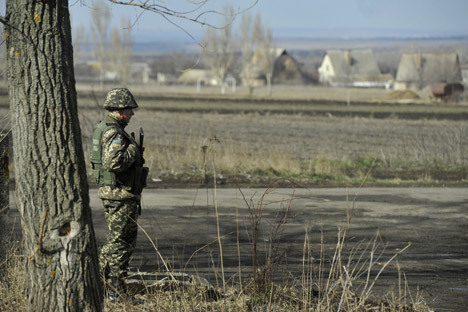 The government resolution No 439-r dated May 14 "On the Approval of the Plan of Engineering Equipment of the Ukrainian-Russian State Border and Territories Adjoining the Antiterrorism Operation Area and the Autonomous Republic of Crimea" was published on the government website on Thursday. The three-year plan of the government envisages anti-vehicle and anti-tank ditches (4x2 meters in size), non-explosive engineering obstacles, fortifications to be built at tactical localities and positions, exclusion zones and belt roads. It is also planned to procure and install 17-meter-tall metal observation towers, video surveillance systems, communication towers, combat remote control modules and surveillance posts. The budget will allot over 4 billion hryvni for the works.